White on white is seen on runways all the time and there is no colour that makes a better statement as it is clean, cool and still very edgy. White on white is a big trend, but the monochrome combination of black and white is just as big and definitely a must for the fashionista's wardrobe. 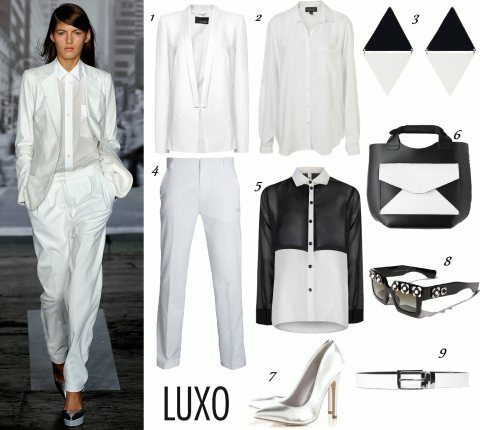 Weekly LUXO attacks the stores to find the hottest items for you to get the look of a celeb or a runway trend. This week we made sure that you have a variety of items to play with, making them worth investing in. No comments yet on Classic Colours with a twist .